A patient had a displaced fracture on their second toe, the result of that patient self-diagnosing "gout", as opposed to a stress fracture. Regardless, the patient was going to race a half ironman 18 days later. Intensive daily laser therapy coupled with no running or riding led to sufficient healing for the patient to race. 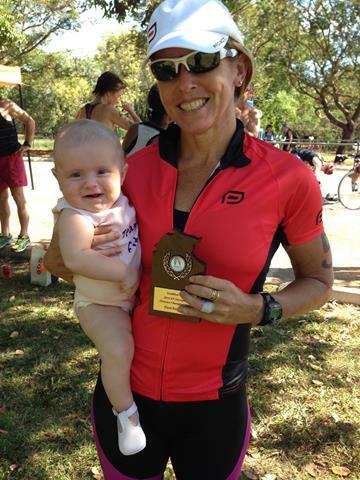 They went on to win their age category and qualify for the Ironman World Championships in Kona. As an instrument of therapy in my physiotherapy & sports science business. Uses include trigger points, scar tissue, acute soft tissue injuries, and of course the treatment above. If your unit was supplied with a Reflective Shield, it is important that you ensure it is pulled off the tip rather than twisted when removing. If you find that it is stuck on: then with the tip pointed towards you, you may twist the shield slightly to the RIGHT (clockwise) only NOT towards the left while pulling it off. If you twist the shield to the left, then you may loosen the tip and damage the diode! We offer monthly rental of the LTU-904 laser to both therapists and also to patients wanting to treat themselves. This can either be short-term or long-term depending on your needs. All rental costs are deducted from the price of a new laser if you subsequently decide to purchase. OBJECTIVES: To investigate the effectiveness of low-level laser treatment and local corticosteroid injection in patients with subacromial impingement syndrome. SETTING: Physical Medicine and Rehabilitation outpatient clinic. SUBJECTS: One hundred thirty-five patients with subacromial impingement syndrome. INTERVENTION: The patients were allocated to three groups: local corticosteroid injection (group I); sham laser treatment (group II); and low-level laser treatment (group III). Low-level laser treatment was performed three times per week for a total of nine sessions. Local corticosteroid injections were administered twice, with an interval of 10 days between each. The patients were assessed at pre-treatment, post-treatment and three and six months after the first visit. MAIN MEASURES: The primary outcome of the study was pain intensity (visual analog scale) during activity and at rest. The secondary outcomes were, shoulder functional status and quality of life measured by the University of California at Los Angeles rating score (UCLA) and Nottingham Health Profile (NHP) scale respectively. RESULTS: Significant differences were observed between groups I and II and between groups II and III regarding pain during activity and at rest scores at all of the visits (p<0.05). Nevertheless, significant improvement was observed between groups I and III regarding pain during activity only at post-treatment (p=0.013). The UCLA scores were significantly changed in all three study groups at all of the visits (p<0.05). The efficacy of low-level laser therapy (LLLT) was evaluated in a total of 66 patients with mild to moderate carpal tunnel syndrome (CTS) with a double-blinded randomized controlled study. The patients were randomly assigned into two groups. Group I received 15 sessions of a gallium-aluminum-arsenide laser treatment at a dosage of 18 J per session over the carpal tunnel area with neutral wrist splint. Group II received placebo laser therapy with neutral wrist splint. The patients were evaluated with the following parameters: (1) clinical parameters which consisted of visual analog scale, symptom severity scale, functional status scale, and pinch strength and grip strength before the treatment and at 5- and 12-week follow-ups and (2) electroneurophysiological parameters from nerve conduction study which were evaluated before the treatment and at 12-week follow-up. Fifty nine patients (112 hands: unilateral CTS = 6 hands and bilateral CTS = 106 hands) completed the study. Both groups I and II had n = 56 hands. Improvements were significantly more pronounced in the LLLT-treated group than the placebo group especially for grip strength at 5- and 12-week follow-ups. At 12-week follow-up, distal motor latency of the median nerve was significantly improved in the LLLT group than the placebo group (p < 0.05). LLLT therapy, as an alternative for a conservative treatment, is effective for treating mild to moderate CTS patients. It can improve hand grip strength and electroneurophysiological parameter with a carry-over effect up to 3 months after treatment for grip strength of the affected hands.